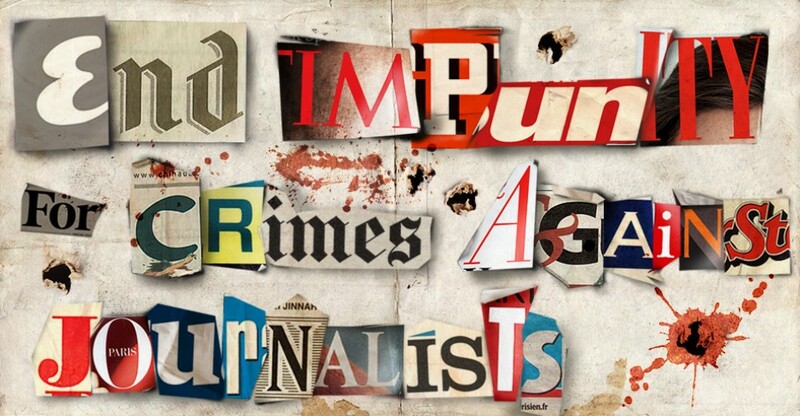 6 November 2018 – The general environment in which journalists work seems to be deteriorating in Europe: the region was shaken by two murders in Malta and Slovakia; the profession and the journalists are targeted by unprecedented verbal attacks and investigative reporters who conduct transnational inquiries to take on Mafia networks are more and more often victims of threats. The Italian Cultural Cenre in Brussels, in cooperation with Ossigeno per l’Informazione, will organize a debate between French, Italian, and Belgian reporters who have come under threat for their investigative work to discuss the various aspects of the dangers they face as journalists. 5 ans... je me souviens ! La fin de l'impunité des crimes commis contre les journalistes : quelles perspectives ? 2 November 2018 - The main commemoration of this year’s International Day to End Impunity for Crimes against Journalists on 2 November 2018 be held in Beirut, Lebanon with a focus on the Arab region. It will be dedicated to “Strengthening regional cooperation to end impunity for crimes and attacks against journalists in the Arab world.” The seminar will be organized by UNESCO and Lebanese authorities with the participation of representatives of national human rights commissions, the Arab League, and of judiciary systems, civil society and media from different countries in the region. It will aim to identify steps ahead and concrete measures to strengthen the fight against impunity and inscribe this issue in the framework of global efforts to promote fundamental human rights.